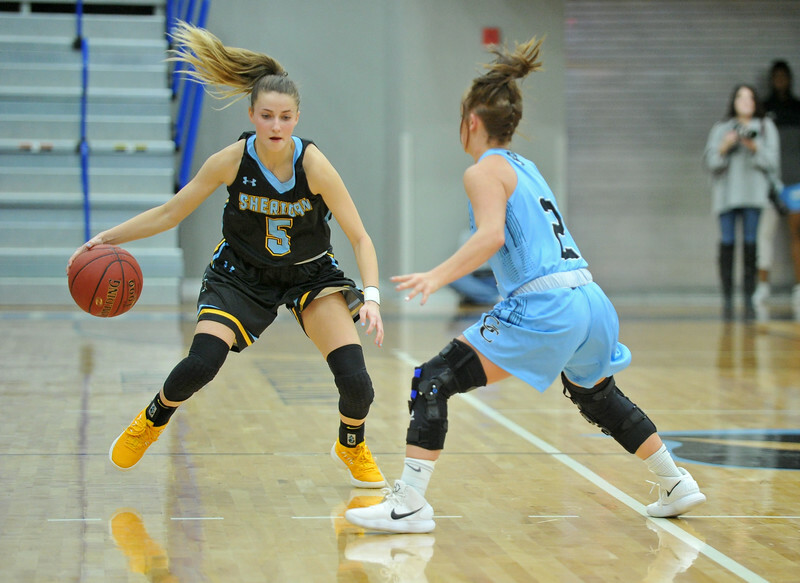 Sheridan College’s Lily Jex, left, guards Gillette College’s Rickie Engesser at the Pronghorn Center in Gillette Wednesday, Jan. 24, 2018. 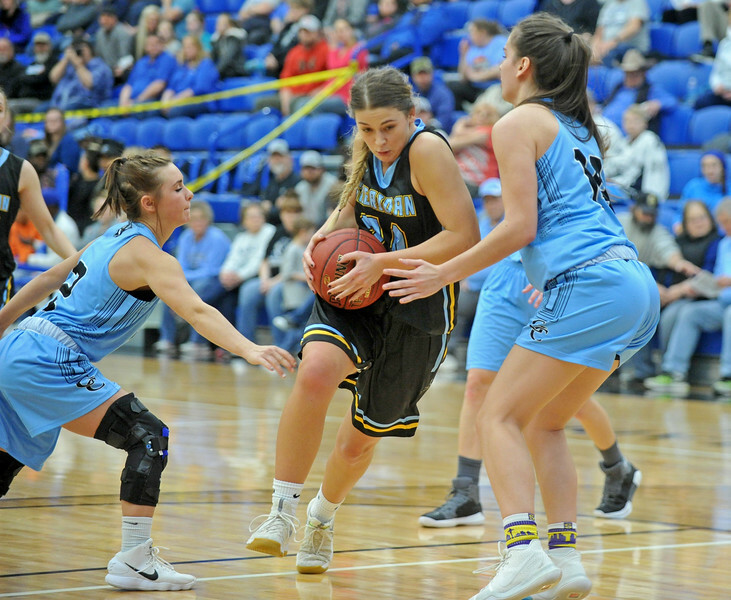 Kassie Hoyer looks to make a pass under the basket at the Pronghorn Center in Gillette Wednesday, Jan 24, 2018. 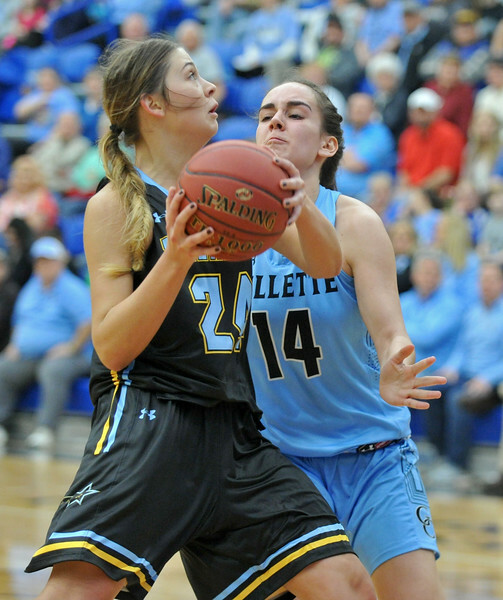 Gillette College’s Rickie Engesser (2) cuts off Sheridan’s Lily Jex on a drive at the Pronghorn Center in Gillette Wednesday, Jan 24, 2018. 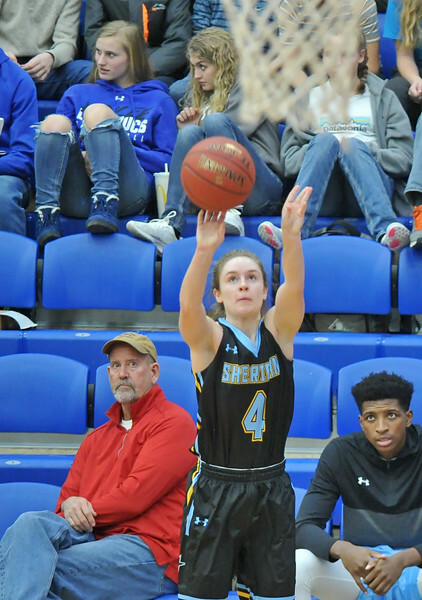 Sheridan College’s Brooke Cargal fires a 3-pointer at the Pronghorn Center in Gillette Wednesday, Jan 24, 2018. 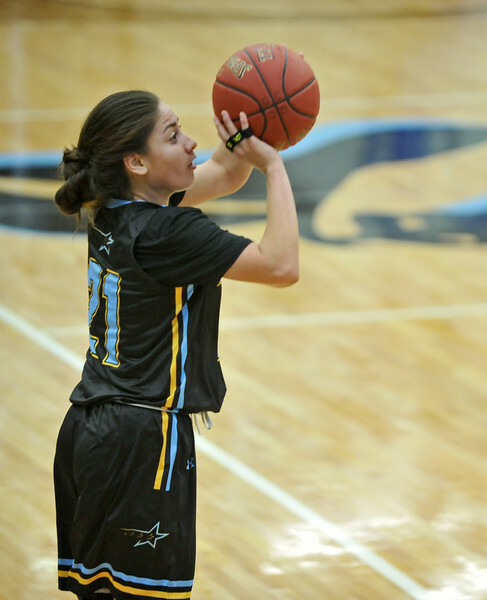 Aloma Solovi lines up a 3-pointer at the Pronghorn Center in Gillette Wednesday, Jan 24, 2018. 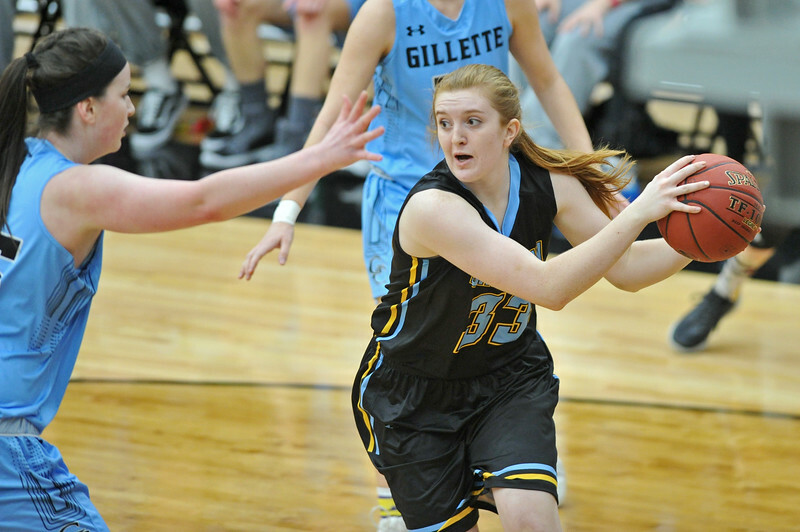 Sheridan College point guard Raelynn Keefer (25) calls out a play at the Pronghorn Center in Gillette Wednesday, Jan 24, 2018. 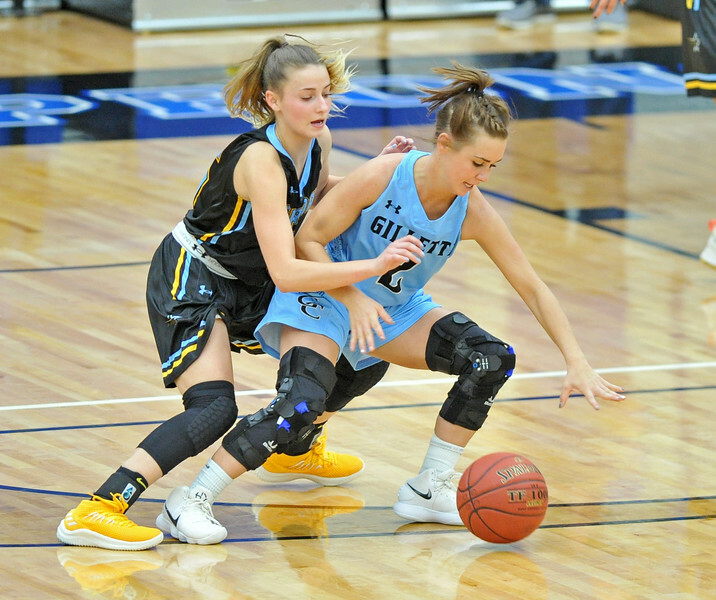 Lily Jex (5) crosses over in front of Gillette College’s Rickie Engesser at the Pronghorn Center in Gillette Wednesday, Jan 24, 2018. Raelynn Keefer listens during a timeout at the Pronghorn Center in Gillette Wednesday, Jan 24, 2018. 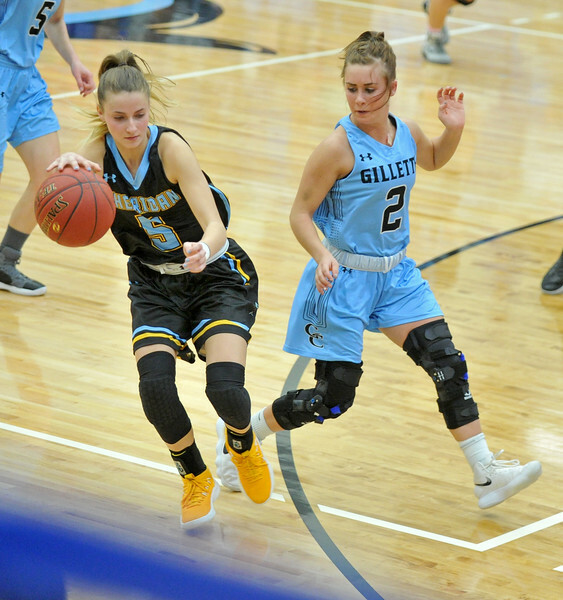 Sheridan College’s Ashleigh Frampton, center, drives between Gillette College’s Rickie Engesser, left, and Lily Sara at the Pronghorn Center in Gillette Wednesday, Jan. 24, 2018. Ashleigh Frampton, left, makes a move around Lily Sara at the Pronghorn Center in Gillette Wednesday, Jan 24, 2018. 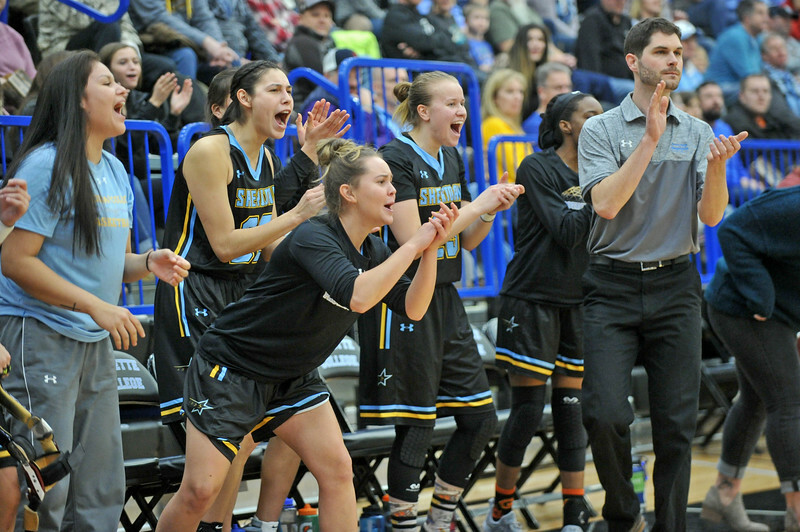 Members of the Sheridan College women’s basketball team cheer from the bench as the Lady Generals make a comeback in a four-overtime game at the Pronghorn Center in Gillette Wednesday, Jan. 24, 2018. 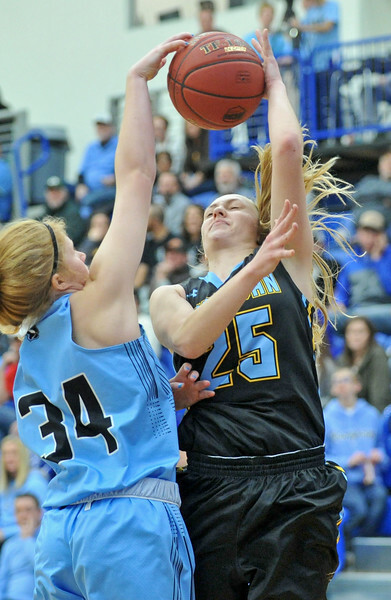 Sheridan College’s Raelynn Keefer, right, gets blocked but draws a foul on Gillette College’s Haley Urbatsch at the Pronghorn Center in Gillette Wednesday, Jan. 24, 2018. 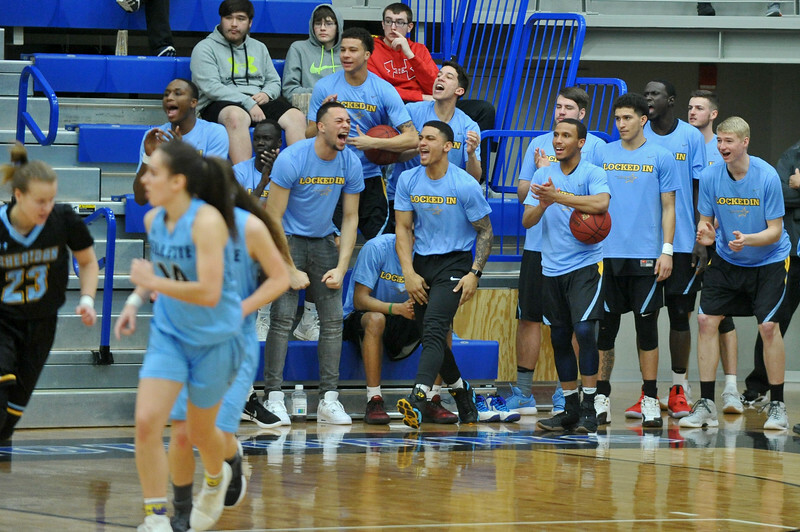 The Sheridan College men’s basketball team celebrates from the sideline during the women’s game at the Pronghorn Center in Gillette Wednesday, Jan 24, 2018. 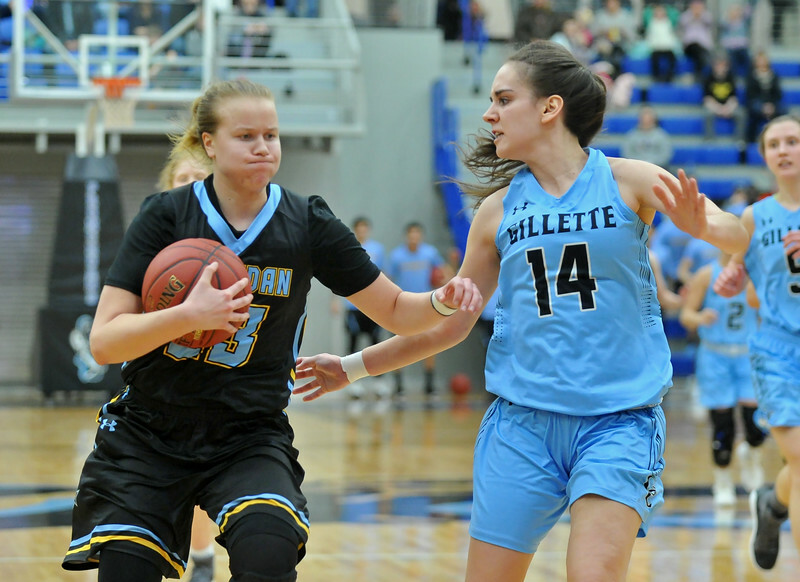 Noora Parttimaa, left, drives at Gillette College’s Lily Sara at the Pronghorn Center in Gillette Wednesday, Jan 24, 2018.